يوفر فندق Ashleigh Court Motel ظروف إقامة راقية وهو خيار رائج للسياح ولرجال الأعمال أيضاً. يقع في منطقة سبا, ثقافة, سياحة من روتوروا. يسهل الوصول إلى هذا الفندق ذو 4 نجوم من المطار، فهو يبعد عنه مسافة 8 Km فقط. يوفر الفندق بفضل موقعة الجيد وصولاً سهلاً إلى أهم معالم المدينة.
. استمتع بالخدمات الراقية والضيافة التي لا مثيل لها بهذا الفندق في روتوروا. يقدم الفندق واي فاي مجاني في جميع الغرف, مرافق مخصصة لذوي الاحتياجات الخاصة, واي فاي في المناطق العامة, صف السيارات, خدمة الغرف لضمان الراحة القصوى لضيوفه. ادخل إلى واحدة من الغرف 14 وتخلص من عناء نهار طويل بمساعدة مجموعة كبيرة من الخدمات كمثل تلفزيون بشاشة مسطحة, اتصال لاسلكي بالإنترنت, مسبح خاص, اتصال لاسلكي بشبكة الإنترنت (مجاني), حوض الاسترخاء الموجودة في بعض الغرف. يقدم الفندق العديد من الفرص للاستجمام كمثل مسار جولف - ضمن 3 كم, سبا. مهما كانت أسبابك لزيارة روتوروا، فإن Ashleigh Court Motel هو الخيار الأفضل لإقامة مثيرة وممتعة. I stayed for only a night but everything was perfect! The bus stop is just 2 blocks away to take you downtown but if needed, they will call you a taxi. Taxi to the downtown area is $10NZD I will def. stay here my whole time when I am next in Rotorua! The new owners of 2 weeks were wonderful and accommodating to us. What I didn't like was the fact there wasn't any parking for our vehicle as there weren't enough car parks. It was wet and the steps up to our unit were dangerous with one set of steps in darkness as there was no lighting, they had 2 different points of entry for the steps. 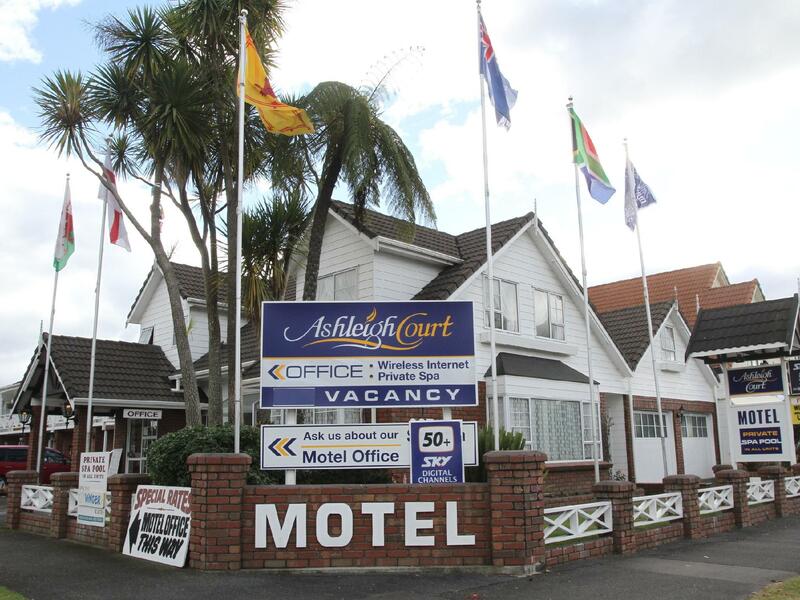 Ashleigh Court Motel needs to update, modify and improve safety standards. We recently stayed and had a great time. Stayed 2 nights. 2 minor issues with the hotel with the 1 bedroom spa-bath room we stayed in: 1) there's absolutely no "do not disturb" signs anywhere. After checking in late, we had no way to let the staff know to not wake us up or clean our room the next day. We were totally surprised by the knock and door opening of the cleaners asking if we wanted our room clean. 2) The doorwaqy to the room is a sliding glass door. We were enjoying a night in the spa bath when the hotel staff came by, opened the door, and left a note for us in the room. With a regular hotel door, they could have just slid it under the door; not with this room. It's feels unnerving that for something as simple as that they have to open your door to go into your room. 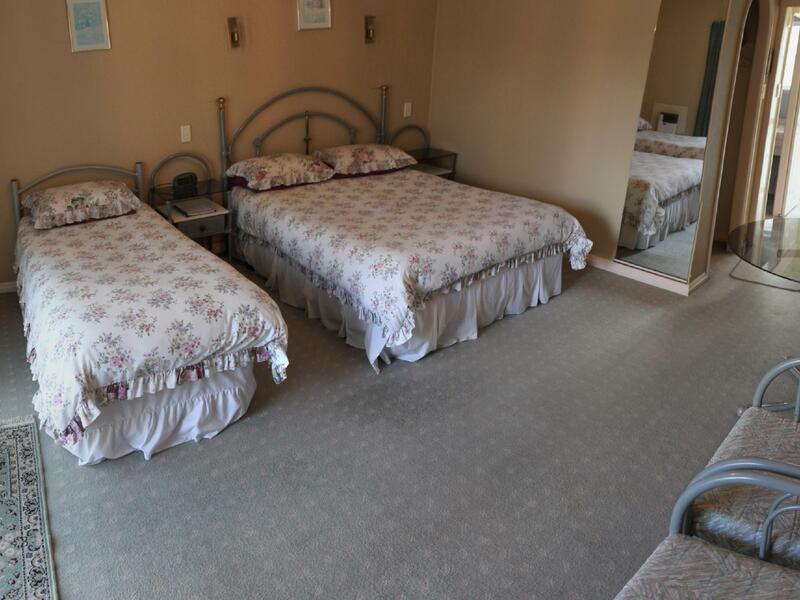 This place is good i thing it own by old couple,place is clean 50 channel sky which most motel dont have free wifi but too slow,i would come back to this place but they do need to flea bomb and add softener to there washing. A good basic motel but beginning to show its age aka 1980's. Bathroom clean but basic. Needs modernising to compete with newer motels. Well Brian runs the place and he was a very nice guy, showing us around & knowing the answer to most of our questions and if he didn't he found out the answer. The rooms are old but kept very clean, we utilised the bed in the room and the double fold out in the with both being comfortable. The spa we didn't use as we spent our time at the polynesian Spa that is just around the corner. My only advice is to shut the windows & sliding doors that lead out to the spa as other guests smoke the smell comes straight into your room and I hate the smell! If you get the breakfast ask for the toast to be cooked as we got warm bread other than the above it was all good, as I said for the money. 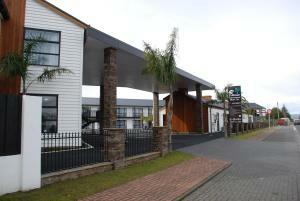 the hotel is in a good and convenient location on fenton street, close to the rotorua golf course and te puia. a few restaurants and grocery stores are fairly close by (about 20 min walking distance). the owners were very helpful. the apartment (1 bedroom with separate living room and kitchenette) was sizeable and comfortable. it was on the ground floor and had no balcony or area to sit outside. we were only 2 people but 4 could sleep easily. the kitchen was well equipped. the mattresses were too soft for our comfort. 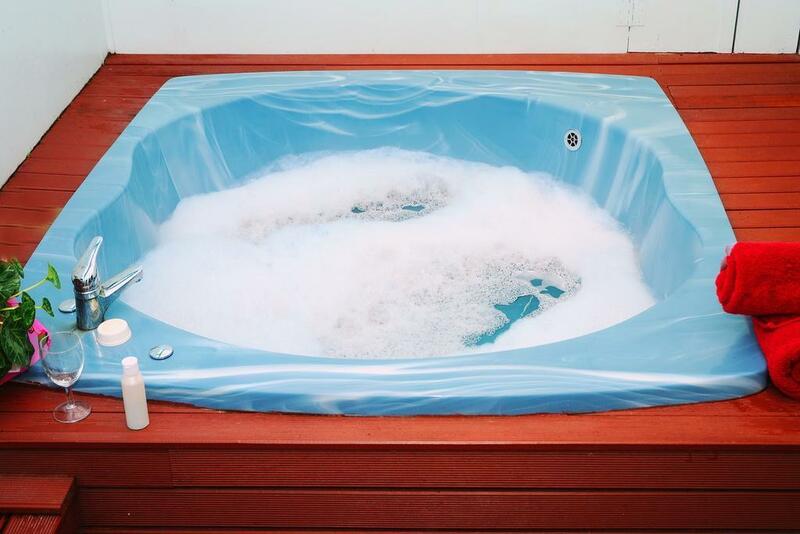 it was nice to have a jacuzzi but it was totally enclosed, which is good for privacy but limits the ability to be outside. if the motel is full, it can get a bit noisy. however, overall, we enjoyed our stay at the motel and we would not hesitate recommending this place for a stay. Good location, feel comfortable, great value and a very friendly reception. I am enjoy to stay in this hotel. Situated on main road into town but within easy driving distance of shops, restaurants and thermal parks. 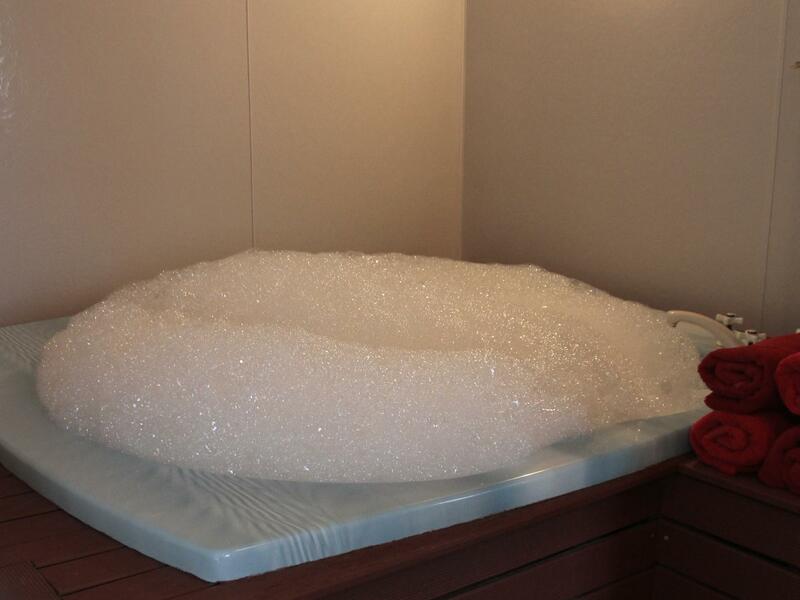 Very friendly welcome on arrival, well appointed room with spa tub, ideal for relaxation after long drive. Laundry facilities excellent.Plenty of parking on site. We were very grateful for advice about how best to spend our time in Rotorua, eg which thermal park etc.